Toledo’s historic Alcazar fortress sits on the highest point of the city. 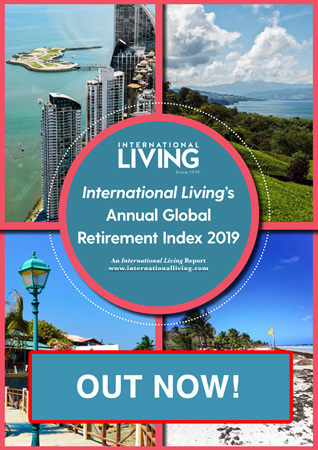 Get Your Free Spain Report Today! My husband and I have come to the conclusion that an easy to navigate, relatively large city suits us best. We thrive on the energy…the opportunity to experience a variety of activities a larger city provides. But even in a sizable city we try to “go local.” We seek out restaurants where locals eat, shop in non-touristy shops, and visit attractions that are not on the beaten path. We try to support the community. We travel often, not because we are independently wealthy, but because I am very resourceful at earning airline miles…but that’s another story. Every trip we take involves visiting at least one or more good sized cities. 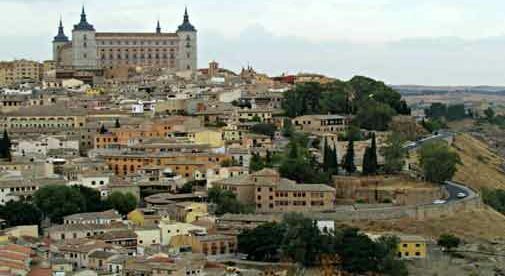 While in Spain recently, we revisited an old favorite…Toledo…population roughly 83,000. We spent two nights in this UNESCO World Heritage City…looking at it with fresh eyes. Toledo was known during the Middle Ages as The City of Three Cultures. Here, Christians, Jews, and Muslims lived side by side religiously and culturally. The well-preserved architecture reflects the city’s culture. The Gothic Cathedral, the larger-than-life Alcazar, the 1st century ruins of Roman baths under a plexiglass floor (in a women’s clothing store)…there is something historic to see around every corner. The city is best explored on foot. Many of the streets in the historic center are so narrow that we had to quickly retreat to allow a taxi to pass. As future retirees, owning a car is not something that interests us. That decision was made years ago while traveling in Europe. We see cabs, buses, trains, planes, and an occasional rental car in our future. Toledo is a food lover’s paradise. A three-course meal for two including wine comes to about $35. Every meal we had during our stay was delicious and reasonable. We price checked the local markets and were pleasantly surprised to find lower prices on most items we purchase at home. Produce was a bargain. I spoke to a pharmacist to price medications. Most were comparable to our co-pays at home. Medicare is not an easy option if you are living outside of the States and with early retirement, our employer insurance will cease. Depending on where we land, and whether it is full- or part-time, international insurance will likely be purchased as a safeguard. Medications and routine doctor visits will be paid out of pocket, as these are reasonable. Walking through the maze of side streets, we noticed something we missed on previous visits. There was an abundance of “for sale” and “for rent” signs in windows and on building fronts. I peeked inside one building and saw a beautiful stone fireplace and worn wooden floors. I could picture us living there. Where is Spain on a Map of the World?